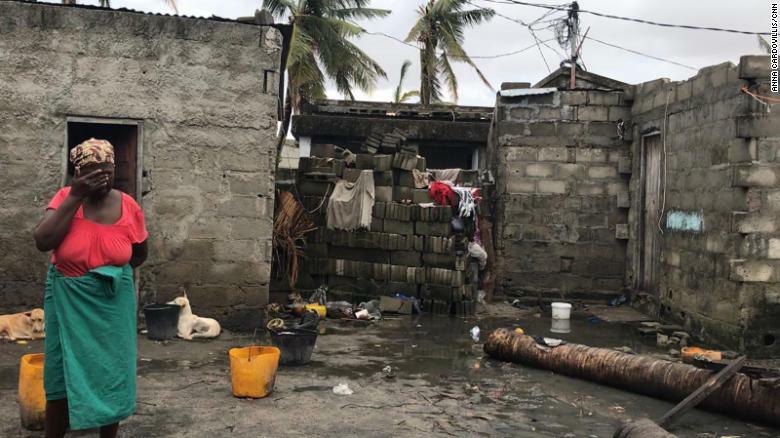 As the death toll for Cyclone Idai rises to 750 people across southern Africa, the storm hit city of Beira is slowly beginning the long road to recovery. The Category 2 storm made landfall shortly after midnight on March 15 in Beira, a port city on the coast of Mozambique, with 175 kph (109 mph) winds that brought huge rains and submerged villages as it moved inland towards Zimbabwe and Malawi. Mozambique’s Minister of Land and Environment, Celso Correia, said on Sunday that 446 people have now been reported dead in Mozambique. More than half a million have been affected in the country and 110,000 were safe in camps. “We are monitoring the situation on the ground,” said Correia. Beira took the full brunt of Cylone Idai, with aid agencies reporting that 90% of the city had been destroyed by the storm. Nearly two weeks later, the city is starting to recover. Cyclone debris, such as uprooted trees, toppled street lights and aluminum roofs, are being cleared from the streets as the rain eases. 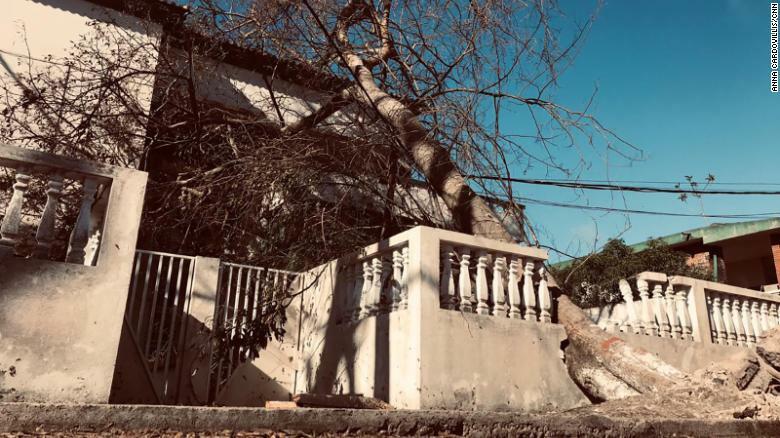 Much of the city’s telecommunication infrastructure was destroyed in the storm, but at least two telephone networks are operating again, albeit with intermittent service. Power lines have been reconnected but as the grid comes back online, residents are having to cope with regular government shutdowns, intended to conserve supplies. Yesterday, the main road that brings supplies into the city reopened. Smaller shops have been selling items in rations. Credit card payments, however, were still not possible in many places. Cyclone Idai flooded this woman’s home in the coastal Mozambican city of Beira. But in more remote areas of Mozambique, efforts to reach those trapped in stagnant waters remain ongoing. On the road to the village of Tica, 80 kilometers (49 miles) from Beira’s beaches, drone footage shows massive tracts of submerged land and huge trees snapped like twigs. An eye witness has described seeing 300 to 400 bodies wash up on a flooded stretch of road just north of Tica. Cholera cases have already been reported in Beira, and there is an increasing number of malaria infections among those trapped by the flooding, according to the International Federation of the Red Cross and Red Crescent Societies. The government is setting up cholera treatment centers in affected areas. Chidumo added the restoration of electricity, water and sanitation facilities would be needed to prevent the spread of waterborne diseases. A fallen tree in Avenue Eduardo Mondhlane in Beira, Mozambique. After hitting Mozambique, Cyclone Idai tore into Zimbabwe and Malawi killing many people as they slept. The United Nations has confirmed that 259 lives have been lost in Zimbabwe and 56 in Malawi. “We were sleeping in the house around 10 p.m. in the evening and it was raining. It kept on pouring when rocks sliding from the hill started hitting our house,” said the 59-year-old. Efforts to bring aid to those affected by Cyclone Idai are under way in Zimbabwe. President Emmerson Mnangagwa’s government is airlifting food to some of the areas where people are still trapped. Mnangagwa declared March 23 and 24 national days of mourning.